If you use your garage just for storage, you might want to consider a better use for it. A man cave is a far better use of space! But how can you transform a cold, dusty garage into a stylish, comfortable bolt hole? The annual Shed of the Year competition has once again fuelled many of us to put our lofty ambitions for a garden bolt hole back on top of the to-do list. By next summer, you promise yourself, when reality gets too much, you will have a place to escape for a while. Heat – from oil heaters to connecting to your home’s heating system, to solar powered electric underfloor heating to a log burner, heat makes the space usable through the colder months too. Rugs, throws and cushions – soft furnishing add extra texture and dimension to a space and so again, layer textures with as many cushions and throws as you like, finishing the look off with a rug underfoot. Window dressing – most garages have a window and even if it is double-glazed, sympathetic window treatments make a difference. Add a blind for filtering light and lined curtains for warmth and wallah! You have the bolt hole you have always wanted! Start with the obvious – clear it out. You will be surprised at just how much space you have in the garage. However, as well as having a good clear out and recycling session, it may become obvious that you do need at least a portion of the garage for storing items. Once you know what you are going to keep in there, think of which garage storage system will work best from labelled plastic tubs to a shelving system. If you intend to use the garage as a man cave where you will sit and relax on classic wingback chairs, then it is imperative you get the basics right. Roof – repair any holes and plug any smaller gaps too. Walls – depending on the structure and material, you may need to make some repairs to walls too. Floor – give it a good sweep and repair any bit dents but the more rustic the floor is, the better in many cases. Electrics – sort the lighting and electrical sockets out too (always ask a professional electrician to complete the checks). Whether you are thinking of adding a heat source or not, insulating the garage from top to bottom makes it a much more usable space in both winter and summer. From space-age foil coated insulation to large sheets of board, spending a portion of your budget on insulation won’t be wasted. In winter, it’ll be a toasty warm man cave. And it won’t be stifling with heat in the summer. If you are fortunate enough to have a thick concrete floor, there is more you can do to it than give it a brush. You can polish concrete using a range of chemicals and an industrial buffing machine. But why break a sweat? Hire a professional team to do it for you. You will be left with a floor that looks nothing like concrete. 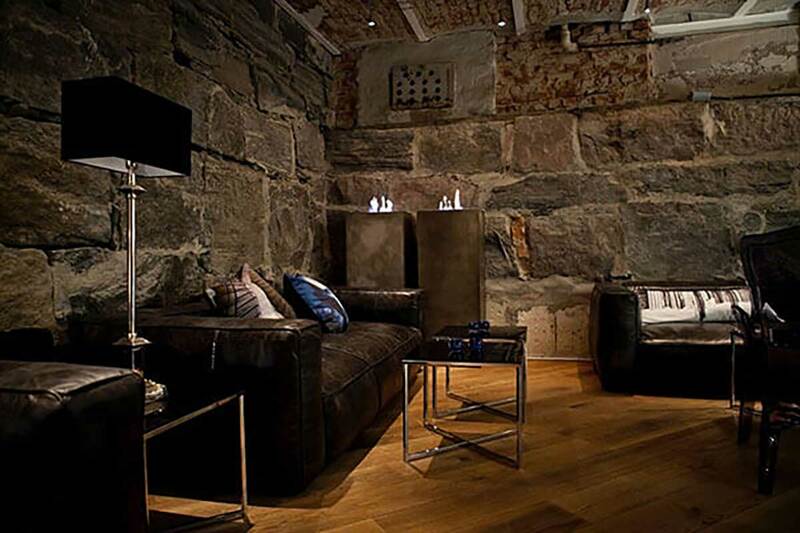 A natural insulation layer, a concrete floor is certainly brilliant in the man cave. Add an extra layer of warmth with a rug and you have the start of a great bolt hole space. With the insulated walls behind sheets of plywood, now is the time to start the decorating. You could always go the full hog and dry line the walls ready for plastering. Then simply paint over the dried plaster. But seeing as this is your space, you can do what you like with the walls. From over-the-top colourful wallpaper that you love but daren’t use in the house to vibrant wall paints and patterns, you do what you like in this space – and don’t be persuaded otherwise. Have you already converted your garage? We’d love to see the before and after pictures of your man cave.